In a Moscow building, a Homeless cat saved a baby that had just been abandoned. He protected him from the cold and tried to take care of him when he cried. 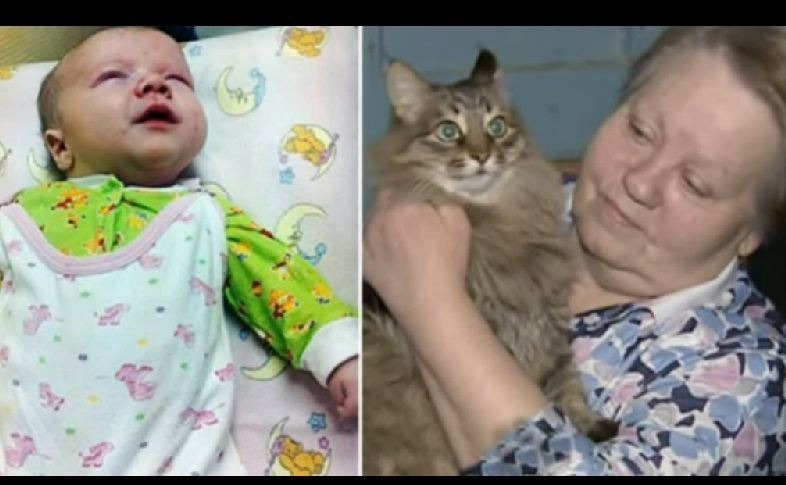 A stray cat saved the life of an abandoned baby near the garbage chute in a building in Moscow, protecting him from the cold with his body, as was reported on Thursday Russian television station Zvezda. A boy aged two to three months was abandoned Saturday in temporary shelter of the cat Macha, on the landing of a building in Obninsk, the region of Kalouga, according to the the same station. "The animal has warmed the baby for several hours by the heat of her body,". When the baby started crying, an inhabitant walked out onto the landing and found her next to the cat, who continually licked her face and hands. "The inhabitants of the building are sure: if the cat had not taken care of the baby, she would not have survived", according to Zvezda. The cat did not want to leave the boy even after the arrival of the rescue, following the doctors who carried the little one until they got into the ambulance, added the TV channel. According to eyewitnesses, quoted by Zvezda, the baby was well dressed, wearing clean, new clothes, and some diapers were left around. The life of the baby who has been hospitalized is not threatened, doctors say . Police have set off to find out the boy's parents, who are at risk of criminal prosecution, according to the channel.